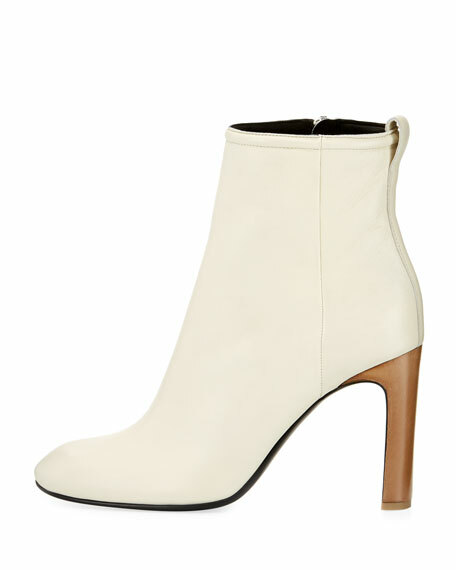 Rag & Bone leather ankle boot. "Ellis" is made in Italy. For in-store inquiries, use sku #2235358. 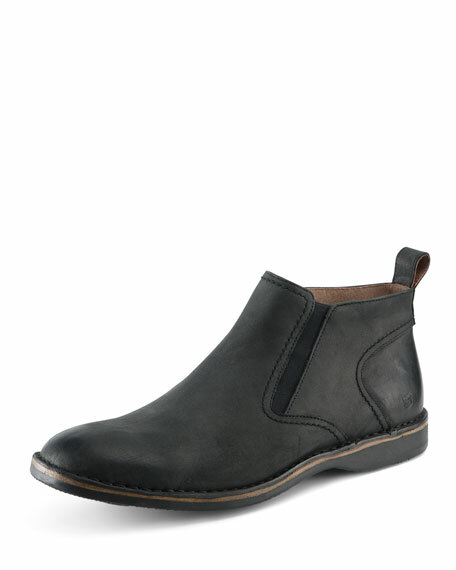 Aquatalia "Fuoco" water-resistant pebbled leather booties. 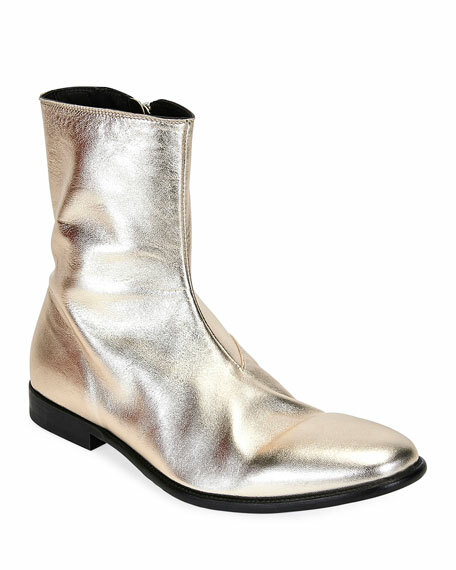 Gold color comes in metallic leather. 1.5" stacked block heel. 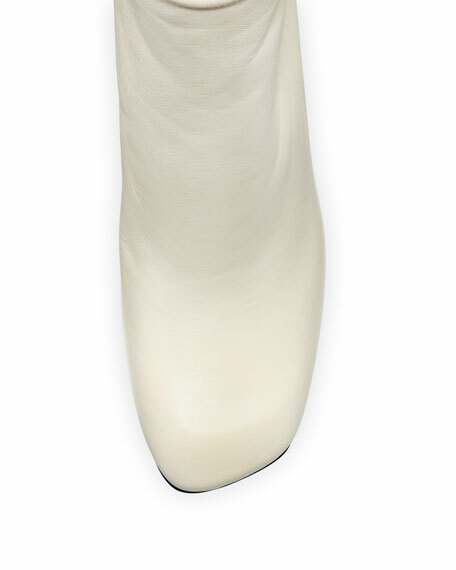 Tapered toe. Side zip eases dress. Neoprene lining. Made in Italy. 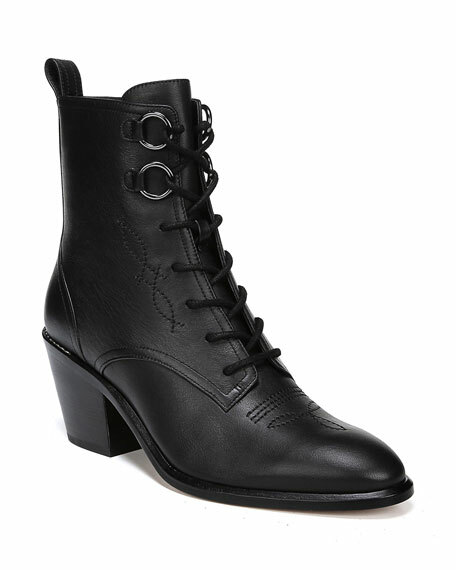 Diane von Furstenberg "Dakota" ankle boot in smooth leather with Western-inspired medallion embroidery. 2.5" stacked block heel. Lace-up front with two ring loops. Round toe. Side zip for ease of dress. Imported.